Metal, like other art forms, has a loosely structured cycle in which innovation begets imitation begets inspiration begets innovation, and so on. The critical juncture in this cycle falls on the imitator; if they are simply a cardboard cutout of the innovative band, then they will be dismissed, lost amid a wave of other imitators. If, however, their inspiration pushes them to heights from which they can distinguish themselves from the innovative band, then they will stand out and be heard. The critical and commercial success of Deafheaven made it inevitable that a new wave of bands would grab on to their style of black metal/shoegaze amalgamation with ambient tendencies (I've heard some people call it "pink metal," and until I know for certain it's not meant as an insult, I won't have it) and have a go at it. Møl is one such band entering the "imitation" point of the cycle with their debut Jord. Does it manage to step out of Deafheaven's shadow, or will it be lost to the seas of time, a passing reference to a (potenial?) metal fad? "Storm" is first out of the gates, with an echoing chord effect that leads into a melody that carries over once Møl slams on the accelerator and the black metal effect goes into full force. Vocalist Kim Song-Sternkopf is an absolute monster, and the first time I heard his vocals I got shivers down my spine. His piercing roars don't so much soar above the band's music as they barrel through it a la the Juggernaut. 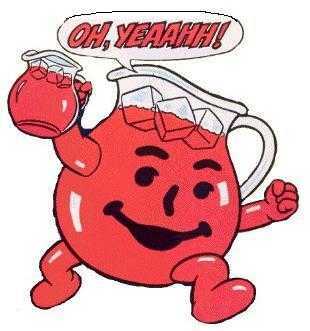 Or the Kool-Aid Man. Bringin' in those ice-cold grooooooowls! "Penumbra" continues the swagger that "Storm" established, with driving black metal riffs giving way to slower, more atmospheric passages. In fact, "Bruma" and "Vakuum" do the same thing, leading to the one (slight) complaint I have about the first half of Jord: it definitely sticks to a formula that could be defined as "one note." Although it is certainly a note Møl plays very well, if the first half of Jord were released as an EP, you'd be forgiven for wondering if they were merely aping the style as opposed to making it their own. "Lambda" is where Møl really steps their game up and begins to show they're a band to pay attention to. The only instrumental song (and my personal favorite track) on Jord, the haunting melody plays at a slower tempo than the rest of the album, creating a deeply pensive daydream in the midst of the swirling maelstrom of the rest of Jord. "Lambda" is an early contender for the prestigious "Durf's Favorite Song of the Year" Award, as well as the slightly less prestigious "Song Durf Won't Stop Humming to the Incredible Annoyance of his Coworkers" Award. Why won't he sing the WORDS?!?!?! From there, "Ligament" showcases some impressive drumming from Ken Klejs, as well as some truly impressive harmonies toward the end of the song. "Virga" is a grungy take on the band's aesthetic, although perhaps I only feel that way because of the guitar lick that always reminds me of part of Alice in Chains' "Nutshell." 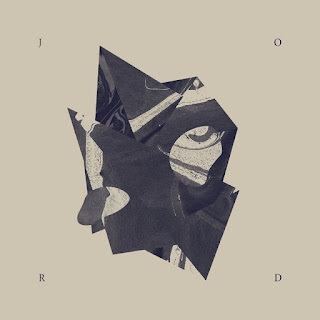 "JORD" then closes Jord, and is a perfect amalgam of the album that came before. Outside of "Lambda," the melody during the bridge of "JORD" is my most-hummed melody of the year, and then the album closes about as absolutely perfectly as an album like this one can. It is impossible to not think of Deafheaven when listening to Jord for the first time; your feelings on the former will almost certainly dictate your feelings on Møl. But the more you listen, the more you discover what incredible intricacies Jord has to offer. Møl will undoubtedly be lumped in with the blackgaze movement, and that will probably drive the reviews and discourse around Jord until Møl's next album comes out, at which point we'll talk about how they still sound like or have changed their sound to get away from sounding like Deafheaven. I can see it all happening already, which is a shame, because Møl is an exciting new band, and Jord is the kind of stellar debut that should get music fans excited regardless of what other bands they think it sounds like. There's another longer, think piece that could be fleshed out from this, but someone else probably already wrote it and I don't want to read it. Jord is a sublimely beautiful, melodious album that has been my obsession since we received the promo two months ago, and Møl is a band that should absolutely skyrocket in popularity on its back. Give it a chance, and I'm sure you'll agree. Jord is out this Friday (April 13) on Holy Roar (Deathwish in the US/Canada).